> Generating entity class src/AppBundle/Entity/Post.php: OK! > Generating repository class src/AppBundle/Repository/PostRepository.php: OK! 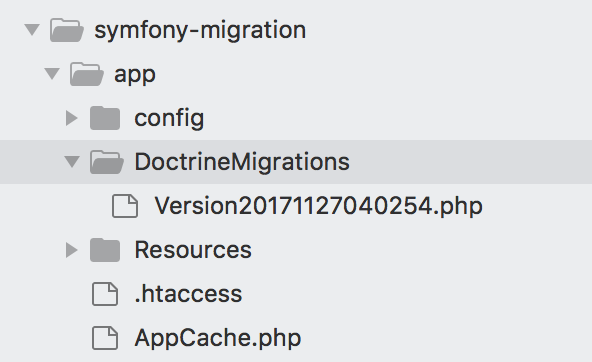 Generated new migration class to "/Users/hrendoh/workspace/symfony-migration/app/DoctrineMigrations/Version20171127040254.php" from schema differences.